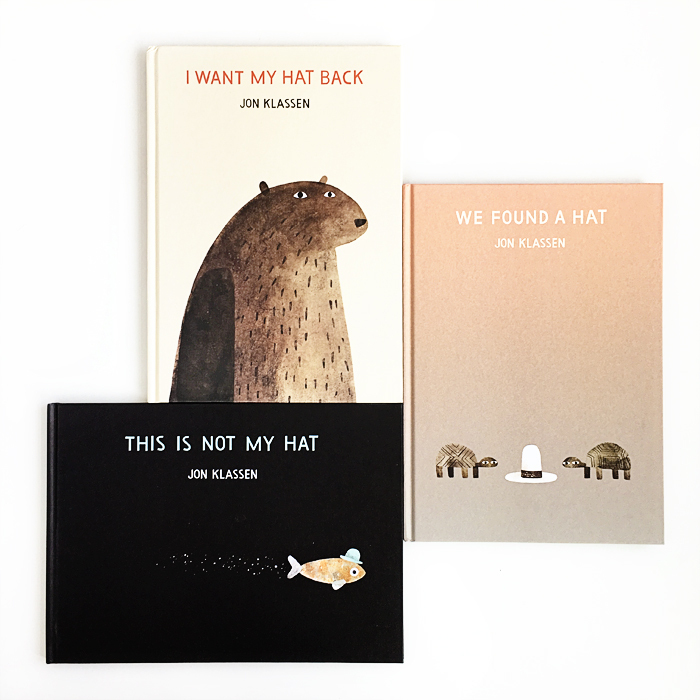 Strunk and White would be fans of Jon Klassen’s hat trilogy. The text presents a narrative that is crisp, tight and to the point, eschewing needless superfluity, with the illustrations telling many more aspects of the story. With Jon’s work, there’s more to it than meets the eye. Kids will recognize the subtle and irreverent humor embedded in the pictures after a few good reads. They’ll also realize how much intention you really can read in someone’s eyes, which is something they might not typically give much thought. We met Jon yesterday at a bookstore reading and signing. He was incredibly kind, gracious and drew a ton of animals at Avery and Nate’s behest. And yes, he wore a hat. I Want My Hat Back, This Is Not My Hat and We Found A Hat were published by Candlewick Press.